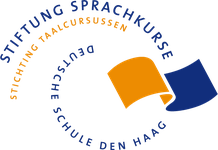 All language courses offered by the Foundation Language Courses German School The Hague refer to the European Framework of Reference for Languages. The Common European Framework of Reference for Languages (CEFR) was designed to provide a transparent, coherent and comprehensive basis for the elaboration of language syllabuses and curriculum guidelines, the design of teaching and learning materials, and the assessment of foreign language proficiency. It is used in Europe but also in other continents and is now available in 39 languages. Can understand a wide range of demanding, longer texts, and recognise implicit meaning. Can express ideas fluently and spontaneously without much obvious searching for expressions. Can use language flexibly and effectively for social, academic and professional purposes. Can produce clear, well-structured, detailed text on complex subjects, showing controlled use of organisational patterns, connectors and cohesive devices.